Are you getting struggle to pay your TNEB Bill in counters? No Worry. 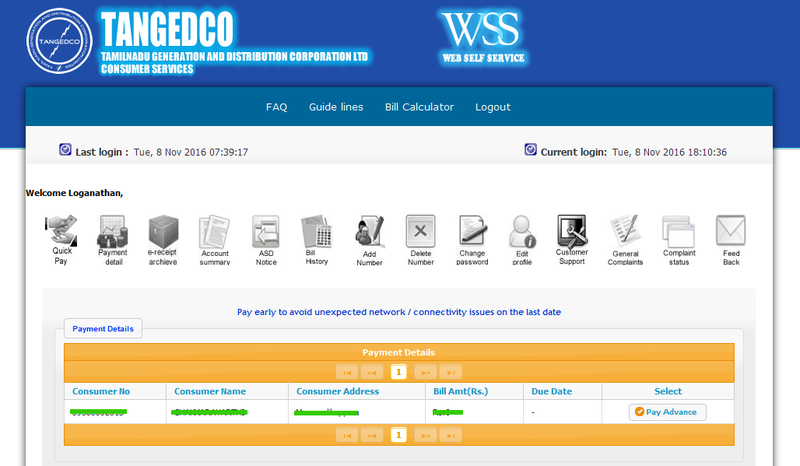 EBillPayment will guide you to pay TNEB bill in online and also check TNEB reading details & TANGEDCO bill status. Nowadays most of the bill payments have an online payment option. TNEB or TANGEDCO is not exceptional. Not only Tamil Nadu Electricity Board and other state electricity boards like Delhi, Mumbai, Bangalore, Andhra Pradesh, etc, having electronic payment methods. TANGEDCO or TNEB Online Payment is the easiest way to pay your TNEB Bill without any struggle. By this way, you don’t want to take office leave & standing in the queue for your Tamil Nadu Electricity Bill Payment. TNEB is a Tamil Nadu Electricity Board, a power generation and distribution company. TNEB is owned by Government of Tamil Nadu. It was formed on 1957 as the Madras State Electricity Board according to the Electricity Supply Act of 1948. Later it was renamed Tamil Nadu Electricity Board. No need to take leave from office & stand in counters. Getting notification to your mobile number & email about your billing. By following the below simple steps, you can pay your TNEB Online Bill Payment quickly. You can choose the affordable mode of payment through Net Banking / Credit Card / Debit Card within 3 minutes. No need to stand in counter’s queue. 2. If you are a new user to TNEB Online Bill Payment, Create a TNEB online registration Payment Account by clicking New User Button. It requires a valid Consumer ID and an e-mail account. On completion of registration requirements, an e-mail is generated to the user for successful validation of e-mail ID. A click on the link in the e-mail will lead to user login screen. 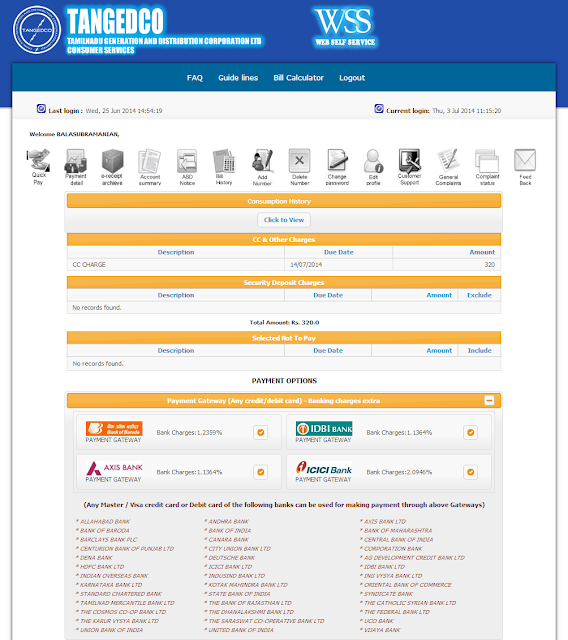 If you have the account, you can directly use TNEB online payment registration login page by entering username & password of TNEB online Bill payment account. 4. 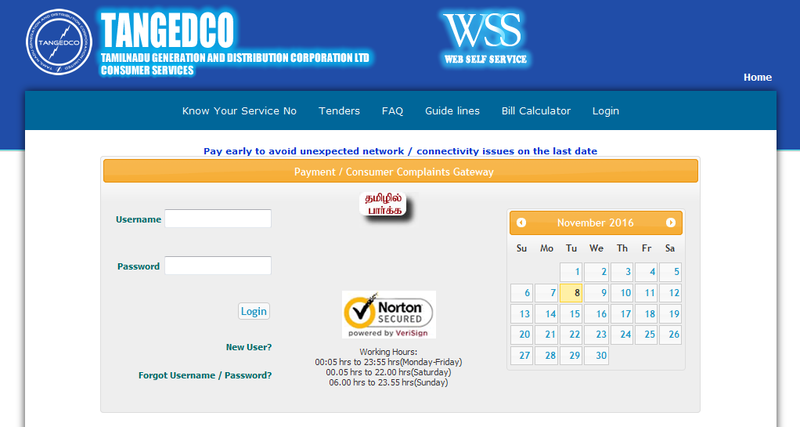 Click the Pay Bill option, and it goes to TNEB online bill payment page. 5. You may select any one of the payment options of Net Banking / Credit Card / Debit Card. 6. 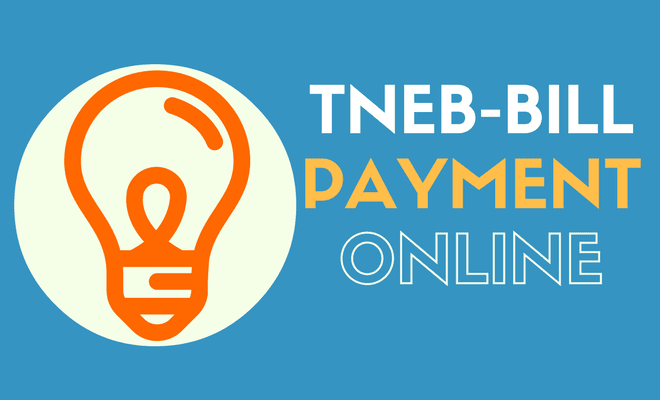 Make the payment and you are done with your TNEB Online Payment successfully. I hope this article more useful for your TNEB Online Bill Payment. If you have any queries related to this post ask questions, feed backs, suggestions on the comment section below.